Dr. Constance Silbernagel joined the Hubbs-Sea World Research Institute team in 2011 as a Post-doctoral Research Associate in the sustainable seafood program. She received a Doctor of Veterinary Medicine degree in 2007 and worked in private practice for several years with both domestic and wildlife species. She completed a Master’s of Preventative Veterinary Medicine degree (epidemiology emphasis) at the University of California Davis in 2012, focusing on understanding animal disease at the population level and implications for public health. 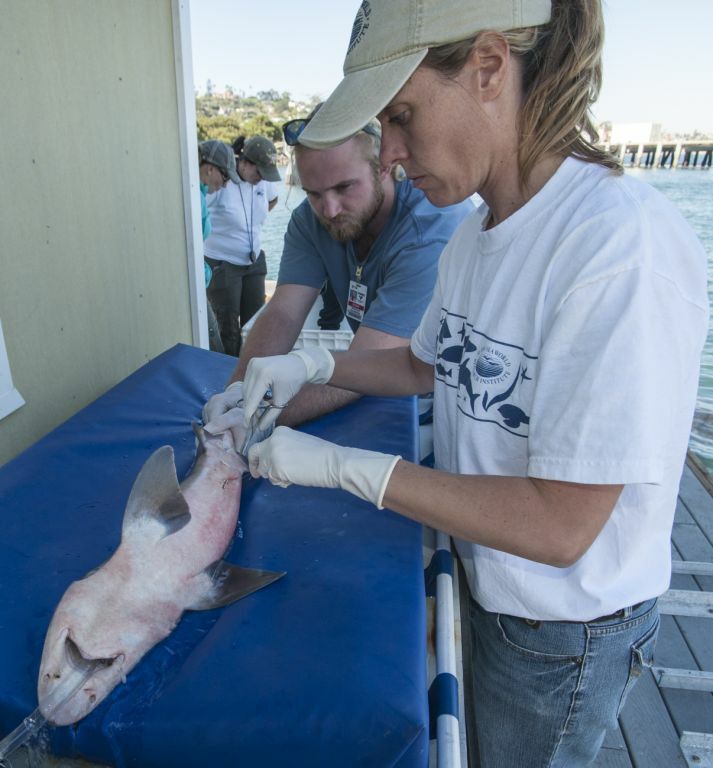 In her current position as HSWRI Research Scientist II, Dr. Silbernagel conducts studies on aquatic animal health and epidemiology and is responsible for the clinical management of wild and cultured finfish at HSWRI. Dr. Silbernagel is accredited by the USDA, chairs the Institute’s Fish Health Management Team, and manages USDA fish export registration procedures for HSWRI. Silbernagel, C, Clifford, DL, Bettaso, J, Worth, S and Foley, J. 2013. Prevalence of selected pathogens in western pond turtles and sympatric introduced red-eared sliders in California, USA. Diseases of Aquatic Organisms 107: 37-47.